One major reason, according to the statistics derived from the Political Data Inc. firm and the California Civic Engagement Project at the University of Southern California research is the increased number of Hispanic votes in each of the seven districts in question. The key finding in all seven of the flipped districts, is the Hispanic vote percentage generally equaled that of a presidential election and was substantially higher than from the previous midterm election (2014). Additionally, most of the districts saw a significant increase in Hispanic population since 2014, meaning an even greater raw number of voters when adding the increased turnout percentage. When reading the Hispanic figures remember that approximately two-thirds of that particular vote segment, at a minimum, was cast for the Democratic candidate. Dec. 3, 2018 — The election of Rep. Cheri Bustos (D-IL) as the new Democratic Congressional Campaign Committee (DCCC) chair at last week’s House Democratic Conference, and Rep. Tom Emmer’s (R-MN) previous selection to lead the National Republican Congressional Committee (NRCC) for the coming election cycle means the national players are coming into focus for the next campaign year. Bustos topped Washington Reps. Denny Heck (D-Olympia) and Suzan DelBene (D-Medina/Redmond) 117-83-32 in the conference election to officially head the DCCC. Rep. Sean Patrick Maloney (D-NY) was also a candidate, but he is hospitalized recovering from a bacterial infection and was unable to attend the meeting. He failed to convince the membership to postpone the internal election. With a partisan division of 235D – 200R in the 116th Congress, the Republicans will need a net gain of at least 18 seats to re-take the House majority. With 43 seats that flipped from Republican to Democrat in the November election, the field would appear ripe for GOP challenge efforts. The first category that we cover today is comprised of the most obvious seats that will be battleground districts in 2020. A total of 18 seats can currently be considered for this category and again figure to be among the most competitive districts in the next election cycle. The other interesting twist is that the results will be published in real time, meaning readers can see the responses as they are being recorded. The full sample is targeted to be in the 500 range per congressional district, a very healthy size. But readers should be cautioned about trying to project a pattern before the individual respondent universe is fully developed. Siena College has been the featured New York Times pollster for several election cycles, concentrating on New York races. They regularly poll the state to test a governor’s approval rating, and how the electorate rates certain state-related and federal issues, along with conducting candidate ballot tests. The 538 political analytics organization, which rates national, regional, and local pollsters, among other research, awards Siena an A grade in both the 2016 and 2018 election cycles, saying they have called 82 percent of the races correctly from 66 political surveys (60 in the 2016 election cycle, and six this year). Siena records an average polling error rate of 4.9 percent, and concentrates on the live phoner method that includes conducting some respondent interviews on cell phones. The 538 organization records a Siena bias factor toward the Democrats of just 0.1 percent, which ties for one of the lowest in the polling universe and behind only Iowa’s Selzer & Company and Fairleigh Dickinson University, which scored a perfect 0.0 percent bias factor rating. June 4, 2018 — In 2010, Golden State voters adopted a ballot proposition that changed the state’s primary system. As we have often noted in articles about the state’s political campaigns, the primary is now a qualifying election with the top two vote-getting candidates advancing to the general election regardless of percentage or political party affiliation. Looking toward the California preliminary vote tomorrow, the top-two jungle primary system may produce some unintended consequences. When the initiative was first floated eight years ago, many pro-enterprise organizations joined in support because they correctly saw that business coalition candidates, and Republicans in particular, were headed for further downturns in California elections. The top-two format, many believed, would produce more centrist victors from both political parties. In practice, when analyzing the three election cycles since the process began and going into a fourth on Tuesday, such has not quite been the case. As we know, Democrats have heavily targeted California in their 2018 bid to regain the US House majority, believing that their chances of winning the seven Republican districts Hillary Clinton carried in the last presidential election are strong. But Tuesday’s vote is providing them a new obstacle to overcome, a complication that could actually shut them out of even having a general election candidate in some of their top targeted districts. 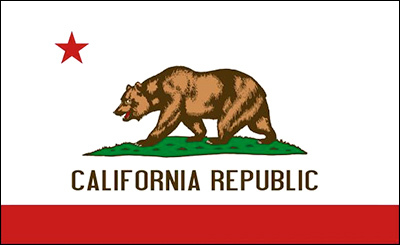 May 14, 2018 — Back in 2010, when initiators created the movement to change the California primary system to feature a jungle format — where the top two finishers advance to the general election regardless of the percentage of vote they attained or party affiliation — they had hoped their ultimately successful ballot initiative would favor candidates closer to the political center. Approaching the June 5, 2018 primary, however, we see that this top-two system might produce quite different and possibly unintended outcomes. In a pair of competitive Southern California Republican congressional districts, recent polling suggests that Democrats could find themselves on the outside looking in for the November election despite having high hopes of converting the two seats. 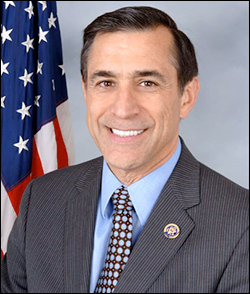 The districts are CA-48, where veteran 15-term US Rep. Dana Rohrabacher (R-Costa Mesa) seeks to be part of another two-year congressional session, and CA-49, the open Orange/San Diego County seat from which Rep. Darrell Issa (R-Vista) is retiring. The pair of early May polls, one from Change Research (CA-48) and the other Benenson Strategy Group (CA-49), reveals that two Republicans could potentially advance to the general election in both districts, thus preventing Democrats from competing in the general election. Though it’s mathematically possible that two Dems could also progress to November in both places, the latter scenario is less likely because the GOP holds a voter registration edge in each CD. In the 48th, Republicans have a 10-point 40.7-30.1 percent registration advantage over Democrats with an additional 24.5 percent declaring No Party Preference, meaning the latter are Independents. In the 49th, the GOP advantage is a lesser 36.7–31.1 percent with 26.6 percent not stating a party preference. Therefore, without coalescing the Democratic vote in each district behind one strong candidate, the chance plainly exists that Republicans could potentially slip two contenders in through the proverbial backdoor. In both the 48th and 49th, too many Democratic candidates are strong enough so as to prevent such a base unification. 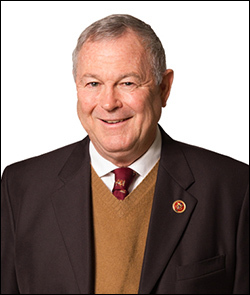 The Change Research survey (May 2-3; 590 likely CA-48 jungle primary voters) finds Rep. Rohrabacher leading the field of four tested candidates (though a total of 16 candidate names will appear on the primary ballot, including three Democrats and one Republican who have withdrawn, but too late to erase their ballot positions). Rohrbacher is in front in the poll with just 27 percent of the vote, followed by Democratic scientist Hans Keirstead, who has 19 percent, and ex-state assemblyman and former Orange County Republican Party chairman Scott Baugh, with 17 percent. Democrat Harley Rouda, a businessman and attorney, garners 11 percent support.